Alex J. Cavanaugh: CassaFire Tour Day Eight, Insecure Writer's Support Group, and Music Trivia! CassaFire Tour Day Eight, Insecure Writer's Support Group, and Music Trivia! 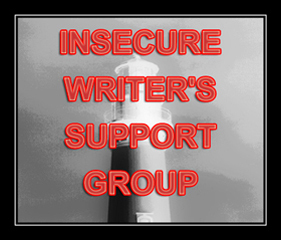 The party is still rocking with both a tour stop and the Insecure Writer’s Support Group! Today’s awesome stop is Arlee Bird’s Tossing it Out! Lee is one of my oldest blogger buddies. Not in years (sorry, not implying you’re old, Lee) – he’s been a friend since shortly after I began blogging. Lee is really darn stable, something that is needed here online. He prodded me to join the first A to Z Challenge, something I have never regretted. You the man, Lee! Go see what insecurities my characters possess at Tossing it Out! My insecurity today – that my writing does not contain enough depth and meaning. I’m not much for heavy descriptions or fine details. There are no great life lessons in my work. Well, not any deep messages anyway. My stories don’t stray into uncharted territory. I tend to stick to simple formulas. I don’t write eloquently or with fancy prose. My work is more accessible than rich. My books aren’t award winners. Never will be. A hundred years from now (all right, ten years from now) few will remember my books. They will never be classics. All I can hope is that people enjoy them now. That the characters and stories take readers on a fun adventure. That for a little while, they provide a little escape from reality. Which ultimately is all I really set out to accomplish anyway. What is your insecurity today, writing or otherwise? Hope that your work will one day be remembered? Know any answers from Tuesday’s trivia? How about today? I think that the message in a story is not necessarily what a writer intends but what the reader gleams for himself. Once your words are out there, they're out there, and readers will find their own meaning. So don't worry about it too much. As long as you were true to your characters, that's as deep a meaning as you can give. 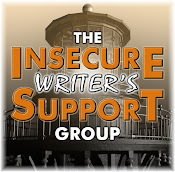 This Insecure Writer's Support Group is a great idea. I'll stop by Lee's today. I'm horrible with band names. Ugh. I'm always worried when it comes to perception of my novels, which is why I procrastinate so much. 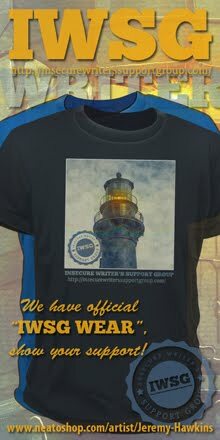 Already posted my IWSG post! Lan, thank you. I think I do manage to make people laugh. Siv, you got it - and that's a funny idea!! Jai, I was true to them and to me. Miranda, I guess either people like them or don't, and we can't always control that. Passing up the trivia...while I sulk, my short IWSF is up, should anyone want a peek. Your books are in public hands, Nooks and Kindles and selling, nothing can beat that not even awards or immortality. I beg to differ on some of your insecurities about your book. No life lessons? I must read too much into a book because I found lessons about trust and friendship. I wouldn't be so sure of that, Alex. Readers make the meaning for themselves. I had some lovely feedback from a reader the other day, who read all kind of deep things in what I thought was a straight forward space romp. I'm always amazed when I read other's insecurities. I would never have guessed you had any. My insecurity? That I'm just mediocre. Can totally relate to your insecurities. I'm not good at writing description and definitely do not write using literary prose. But I think there is a place for us too as you've shown. Hope you're enjoying your blog tour and release of your book. i think helping readers escape from reality is the best goal we can have as writers. i know that's why *i* read. and why i write, now that i think of it. Thanks, Brinda. I guess those lessons were there. Lurker, you know your music! Deborah, that's exactly how I view my writing! Em, then we share the same insecurity. Thanks Natalie, and I am! Michelle, that is why I read! Katie, that was the purpose of the group. Number 4 on the trivia was Autograph I think. I have no idea on the rest. That's one of my worries too. I love reading stuff that has all these layers of meaning and these hugely philosophic themes - but its really hard to write. But I think people remember really good stories too. You may etch out your place in history yet. Alex, you may not set out to write about life lessons, but you do. They are in your books. I'm off to Lee's. He's so awesome. Two of my fave blogging guys in one place. Awesome! I think helping someone to escape into an adventure, for however brief a time, is the most amazing gift. And you have that in abundance my friend. CassaStar and CassaFire are the best kind of stories. I cannot even think on the trivia this mornng, LOL. I am sleepy as all get out. Off to Lee's what a great guy he his. Cap'n Ninja!! The mmmm-mmmm-mmmm song is driving me crazy!! I am trying not to youtube it!! LOL! I know this!! But I can't remember! LOL! I disagree about your books being classics. In a hundred years, there will be someone who picks up the last copy and says this is now my favorite author. Then they'll be a movie and TV series. Hey as an ad writer I feel that every second. I can only imagine how the insecurity must intensify on an author level. BTW....Hydrogen? D'OH ... totally knew that!!! I think a lot of people feel that way about their own work - but if you are at least accomplishing your goal of providing escapism, that is a really good thing. "Which ultimately is all I really set out to accomplish anyway." You know what your goals are, and you are reaching them- which is pretty damn awesome. I can understand your insecurities, I often think I should just chuck the whole business as I know I'm not writing anything that will be considered a literary classic. But I think providing enjoyment and entertainment to your readers is the best accomplishment any writer can have. Your stories are great reads that make people happy and that is what really matters! Sometimes, all we need to do is work on our craft, share it, and allow others in. That's when we inspire others. Rusty, it is. You do write very memorable stories though. Thanks, Melissa - escape is all I want in my reading! Teresa, then I have something to look forward to after my death! Copyboy, I can only imagine the pressure in your job. Kyra, I doubt she had all that in mind at all. Gossip Girl, you will! And thanks for joining us. Your insecurities are why your writing's so good, Alex. Your style doesn't hurt the brain with heavy details or the need to interpret layer upon layer of verbiage. The 400+ page classics may never go out of style, but your style is classic. There's nothing wrong with writing an entertaining story. I think writing should be for entertainment and you do it well! I think you will "Eat Your Words" saying your books are not award winners, WHEN they are made into films who will be on the red carpet at the Acadamy Awards? not me but you. I suppose I can argue that I don't watch car racing, so that's why I didn't know it was Indy. 1-4...not a clue. Movies, TV, general trivia I have a handle on. Music and sports...not so much. Hopping over to Lee's blog now.... Have a great day! And so you have 'taken readers on a fun adventure'. Enjoyed getting to know your characters and 'their' insecurities at 'Tossing it Out'. 80's music trivia! You have got to be kidding. there's nothing wrong with being a commercial writer. Heck, i want to be a commercial writer. And if it really bothers you, you can always experiment with some deeper stuff. But your legacy can endure for generations in the form of coffee cups! Sure hope I win one. Off to Arlee's blog now. I'm the same with the lack of details in my writing. Some is fine but I find myself skimming long, over the top descriptive passages when I'm reading so I don't like to read them either. That's might be THE insecurity. I do think I will be content if I can give some people and enjoyable escape from reality. My insecurity this last week has been my doubt that I can capture my imagination in words and get them on the page in any kind of order . . .and I share all your other insecurities as well. However, I can say with surety that your books will be remembered around my house in 10 years. We have a tendency to reread the really good books . . . and yours is one of those. Yes, I think in any kind of creation, the author must be aware of the nature of their work and accept them, and that is precisely what you've done with this reflection on the depth of your works. trivia... done, i still have the album to question number 4.
and thank you to my last question, you answered the other day. Robyn, I don't want to hurt brains. Yvonne, that would be awesome! Marta, it's the only approach I know. Stephen, that made me laugh! Mama, I skim as well. And everyone, thanks so muc. that is something I always struggle with but at least you have the book out there and selling. As for the trivia, crickets are sounding here. My IWSG post today is about not comparing ourselves to others. You shouldn't either. We write what we write and it's enough. Holy Cow - Crash Test Dummies!!! I haven't heard that song in ages. I remember really wanting them to have another hit because I like his voice, but alas, it was not meant to be. I think when people get too involved in writing something for the hidden meaning, all meaning is lost. And since when did we devalue the necessity of entertainment? Ack, completely forgot this was the first Wednesday. But then, I didn't even know it was Wednesday! Sorry. Oh, I loved Turning Japanese. Now it's going to be stuck in my head. But I can't think of the band name. Oh, gosh, depth!! Yes, that's a worry of mine too. Sigh. Heading over to Arlee's blog! I think you're doing great--people like entertaining books. Deep meaning, or not. ugh, go back to movie trivia! I didn't know the answer to a single question! I did fairly well on friday's test, 4 out of 5. MsHatch, more on the way! Ah, Alex, not very many of us are cut out to write great literature. All we can do is do what we're doing - we have a story idea, we write it down as best we can, and then we have to let go and move on. Your books are delightful escape and for me, that is the best kind of book there is. One that allows us to forget what is going on in our own lives and get caught up in make believe. Thank you. Alex, I did an insecure writer's post on accident (even though I've been meaning to anyway). So excited!! The STARS must have been aligned just right. Participating in one of these hops on purpose is going to have to be one of my new goals! I love your blog. Such a great model for others to learn from. My insecurities right now are that I won't be able to get back on track with not only my blog posts, but with my WIPs. So many obstacles overwhelming my life right now. Okay, going to check out your post on Tossing it Out! Al, you're published -- twice. You've a rocking blogpire with the respect of more than a thousand followers. You put yourself out there, you see things through, you organize events with a leadership that rivals the March of Dimes. And 'Talking Japanese' was The Vapors? Hey Alex! 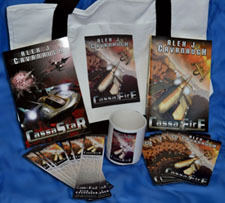 Congrats again on CassaFire, I just got it from Amazon and can't wait to read it! So really, I love your writing, you're a published author, and you're a MAJOR inspiration in the blogging world as far as I'm concerned. My insecurity today is that I will never finish responding to everyone who commented on your guest post Monday at Under the Tiki Hut. I doubt your assessment is correct, many writers have ambivalence about what they create, up to a certain point. You're just getting on a roll, Alex, who says your books won't win any sci-fi awards? Besides I want to see a resurgence in the popularity of Science Fiction. That may be because I'm writing sci-fi too. Only good writers in the genre can make it so. Will check out Arlee's page now! I appreciate you saying that, Suze. And you are correct. Tracy, glad you joined us! Tessa, thank you and so happy you ordered it. DG, we need to start that resurgence. I think you'd be surprised how people can find meaning in your story and characters that you never intended it to have. And even if it is just entertainment, that's a worthy goal too. David Farland once said he got a letter from a fan who was in long-term care in the hospital, and that Dave's books were what helped him escape and get through it. So don't be afraid-- your books can have a lot of meaning for someone! I have no insecurities. I keep things low and don't demand too much from myself. I remember the books I enjoy regardless of whether they are award winners or so-called 'classics'. You are reaching and exceeding your goals - that's nothing to be insecure about at all! Some of your insecurities are similar to my own. But you inspire me to keep going. Alex, some of the things you're insecure about aren't really negatives. Award winning books with immense depth and fancy prose can be great - but we don't want to read stuff like that all the time. Sometimes we really need something accessible we can just enjoy. I understand. I often wonder if my writing is anything anyone will "get". Truth is, we have to write what is true for us and let it run free. It can never affect anyone else if we don't get it wings! Off to read Lee's post! I worry that I'll love blogging more than writing, spend more time doing it, and never finish my novel. You know, I can probably take all your insecurities and apply them to my writing too! But then I think about all the books the I love reading: They're not classics. They don't all go really deep. I won't remember a lot of them in ten years' time. But I sure as heck have enjoyed reading them now and passing them on to friends! As you've already had 76 comments, and I haven't read them all, I'm sure someone's bound to have said this: people buying your books is the greatest test of those books. Awards don't mean anything if no one reads them! I can sympathize with you, Alex. I worry about the same thing sometimes, but then I tell myself I'm not writing classic literature. I'm writing stories to entertain and help people escape their every day lives. If I can make one person smile, then I'm happy. I think you'd rather have books that people enjoy, instead of books that win awards. So don't sweat it. You rock! Elana, books that people enjoy sell more! Thanks everyone! Still trying to get through the list and visit my blogger buddies. Hope to see everyone very soon. "My books aren’t award winners. Never will be." Mine aren't either. And I am totally okay with that. I will never write the Great American Novel (or Great Canadian Novel, for that matter), but I'm not setting out to do that, and I'm fine with it. I just want to write for entertainment, because largely, that's why I read fiction. My writing is as deep as a puddle. But, then, it is just a blog. I'm going to have to try one of these next week. They're surprisingly comforting. Every one of your insecurities about your prose describes the prose of Ernest Hemingway's! How many decades has his work been around and considered classics? Emily Dickinson was criticized for being on the other end of the spectrum from your worries. Guess what? She is remembered and her critics are not. Your work has loads of themes and deeper resonances... I think in the best kind of work, it's the reader that discovers these rather than the author who purposefully signposts them. that was a great post over at Tossing it Out! I think your insecurities belong to all of us, Captain! I'll spare you the novel-length story of my insecurities! I hope my blog will be remembered by my children and grandchildren. I wish I had something of that sort from both my grandmas whom I loved. Roland, his every word had meaning though. Laura, that's a good point. Cherie, true - no one will ever be forced to write a paper on my book. That darn "depth" thing - lets just hide it with humor! Sorry, I know I'm not much help. Depth has it's place, but an engaging read will always be my choice. Great post, Alex. Alex, some of my favorite things to read are great fluff. Stories that I don't have to think too hard about, but that whisk me away to a wonderful place and send me on a wonderful adventure. My life is deep enough as it is. Alex, you are describing normal and justifiable insecurities. If your book is entertaining readers now then hopefully you have accomplished what you intended. Readers differ, but I don't like heavy description. I like just enough to feel present in the story. I skim over lengthy, descriptive passages. I want to be entertained with action, dialogue, conflict etc., not read long winded paragraphs describing the scenery, just my opinion. I get a flat zero on today's trivia questions. I usually know at least one, but drawing a blank here. BTW, I just wanted to let you know that you are always helping writers/bloggers even when you are not aware of it. I read a comment that you left on a blog a few weeks ago (can't remember the blog or post) but you mentioned using firefox as your browser because of the auto spell correction in the comment section. I switched to firefox as soon as I read it. Thanks. Your insecurity is very similar to mine this month. Your CassaFire is in my TBR pile for next week . . . can't wait:) As always, thanks for hostin the IWSG! What you think you are missing from your books is what I love about your books. I love that they are a fun read. I love that they are about the characters and not about the fancy descriptions or deep concepts. I love that they are a joy to read. I know exactly what you mean about sensing your books won't last. But you never know. Ironically, this is the week the movie John Carter comes out, and it's based on pulp books by Edgar Rice Burroughs -- he churned them out literally about a hundred years ago. And 2012 is the centennial for the appearance of his pulp creation Tarzan. Who'd 've thought back then that his stories would be around this long? But obviously there were some elements in his stories that people just keep going back to. Can't remember #1. Damn. #2 is Crashtest Dummies. You never know what will stick in people's minds, what will become "literature," what will be remembered. I'm betting these are very common insecurities. I just hope that someday I finish a book, forget anything else. I don't know any of the trivia answers. I can sing (well, hum) axel F though. Does that count for anything? I would freak out to win a copy!!!! The tour continues! Rock on! Jessica, fluff may be what I write! Michael, I think we'll both be fine. Lynda, thank you so much - that just made my night! Mark, the admiration of your kids trumps all else. MJ, counts in my book. Love what you said about hoping your books help folks to escape reality for a time. I hope that my stories do that too. Isn't that really what its' all about? Writing not award winning books but books that people just love to enjoy? At least you have the courage to face and put a name to your fears, which puts you ahead of the game. I could identify with almost all of those you listed. My biggest fear right now is standing up in front of a room of people who will be critiquing my writing! Now that's scarey! Robyn, I hope that's what it's all about! Karen, that would scare me as well. I watch movies, TV shows and read books for the pleasure of a great story. I don't read fiction to search for deep meanings though I wouldn't say the main character showing growth and overcoming difficulties isn't deep enough for anyone. I'm wrapped up in a beta read and not blogging much. But I will catch Lee and Talli's guest stops. I can really relate to these insecurities, Alex. On one hand, it's good to know I'm not alone. On the other, of course, I want us all to grow and learn from them. Heading over to Lee's place! Hope, I will visit soon, I promise! Lola , thank you! That means a lot coming from you. Who performed these memorable hits..
3. "Hit Me With Your Rhythm Stick"
4. "You Spin Me Round"
5. "I Melt With You"
Hi! I'd never thought about my books becoming as classics. Interesting thought, though, seeing that Alice and Wonderland is a classic. Just how in the world would a modern-day book become a classic? Does it need to be unforgettable? Original? Striking? Stand-alone? Those all describe classics, right? Who knows what the future holds, maybe classics will always remain Jane Austin, Mark Twain or Shakespeare works and never anyone close to the 21st century. You kept things busy at Tossing It Out today. And I don't think I'm the oldest in years, but maybe among them. No need to be overly concerned about your writing--I think you do just fine. Your post is very inspirational. I'm glad to have the opportunity to be a part of this group! My biggest insecurity right now is that when my first book, Provex City, goes live on Amazon no one will buy it. I know I can't worry about that because writing is a passion first--a paycheck is just a bonus. I hope it will be remembered, but I guess only time will tell (haha...obviously). And it's sad that the only answer I know from today's trivia is #2 the Crash Test Dummies. Thank you for this. Cheers! I agree with the chap above me. Writers are storytellers. We were the guys who people gathered around, by the fire. We told tales by word of mouth. Stories were forgotten in morning hangovers, or taken and twisted and mutated by other storytellers. Entertain us first. Everything else is secondary. The others are great mistery to me. Fun and escape are what I need right now. So it's good. Thanks for your visit and comment on my Insecure Writer's Group, I guess I will never understand why people "Follow" and never vist again. One person told me it was because I wrote all poetry and people don't like that what I need is variety on my blog. Alex, I am what I am as the song goes, I'm not into short stories and writing books. There is a Daniel song called"Am I wasting My Time?" which spring to mind. ISWG is such a brilliant idea - glad I found you guys at such an early stage of our writing... I look forward to next month already! During the 80's I lived above a night club which was open until 4am most nights, so the eighties music drives me crazy!!! I try to pretend that a lot of it didin't exist! Alex your books are an enjoyable read, you needn't stress over them being a literay masterpiece! From all your blogging friends whom you are surrounded with you must realise that you and your work have become popular! How did you know everyone of my insecurities? Many authors share your insecurities! A book can have lyrical words and be a bore. A book can have deep messages and be too preachy. If my novels entertain, I'll be thrilled. You seem to be saying the same thing in different words. So many of us share your insecurities, but I would say this - not all books that win awards are remembered a hundred years from now either. You are a great writer, blogger, friend, you inspire a whole lot of people, bring them together and, I think, you write from your heart. That is a huge list of accomplishments. Keep rocking, Alex. My insecurities are very much like yours. I am not very good with descriptions. I have a tendency to skip over long drawn out descriptive when I read; I suppose that must be why. Of course unlike you I have yet to publish...so adds to my angst. How'd I do? Sorry I didn't see this sooner! Michael, all you can control is what you do to promote it. Thanks for participating! Yvonne, then you don't worry about those people! Kezra, thanks for being a part of it! CM, at least somebody likes it - that's what matters. Ann, well there are a lot of us that skip those, so guess we'll both be all right.